No discussion of pet friendly holiday foods would be complete without first tackling the issue of your pet’s health and safety. Plenty of traditional holiday fare can cause major problems, including chocolate, xylitol (a common sugar substitute), alcohol, onions/garlic, grapes/raisins, macadamia nuts, and more. Supervise your pet at all times around food, and clean up leftovers immediately. 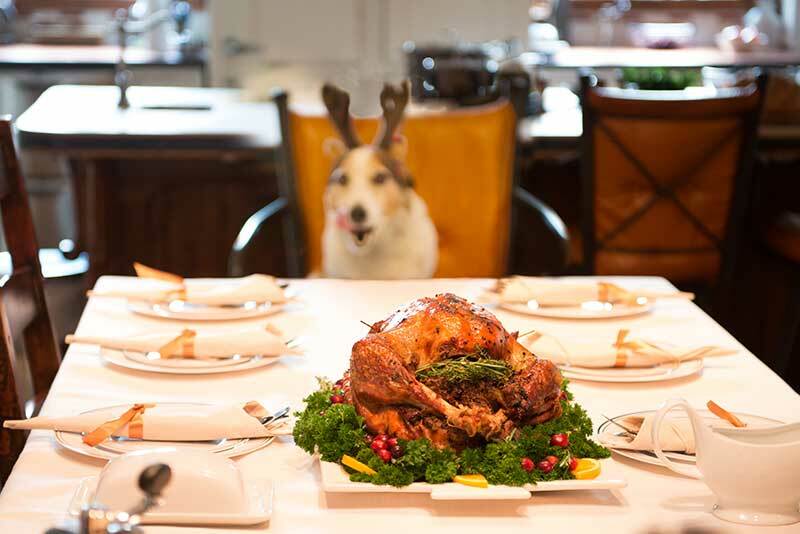 There’s no reason pets can’t partake in holiday leftovers, as long as their owners do a little bit of planning beforehand. Keep in mind that a pet’s high-quality, commercial pet food should always constitute the bulk of their diet. People food and other treats should only be offered in small amounts. If you have any additional questions regarding pet friendly holiday foods, please don’t hesitate to contact our staff.